The solar system is an energy structure composed of a central area largely consisting of mass and light and nine planetary “awareness” belts encircling its center. The planets are the materialized forms of these awareness belts. Each of these belts has unique frequencies and qualities. The soul remains strongly connected to the sun, and throughout life evolves in expanded awareness through the influence of the successive awareness belts. Taoist masters clearly distinguish two forms or aspects of the soul: the sun-related cloud soul (hun), and the moon-related white soul (p’o). The p’o is the yin aspect, which has seven parts or stages and arises at the time of conception. The hun, or yang aspect, joins to the p’o at the moment of birth. The hun is also seen as the aspect of the soul that rises to heaven at death, whereas the seven p’o are the aspects of the soul that return to the earth at death. In the following pages we will not use this dualistic principle of the soul, but rather will see the soul as one. When the soul starts its incarnation process, it moves through the world of stars and is attracted by our solar system, with the sun as its medium. The sun functions as a giant satellite station between the worlds of stars and planets. According to the karmic information carried by the soul, it will remain a shorter or longer period within the “frequency” or influence of some planets. During these periods it receives the necessary information to create or awaken specific learning possibilities. The fact that each soul remains longer in one sphere of influence than another creates very distinctive qualities in the character of each person. We have stronger connections to some planets and weaker connections to others. During the incarnation process the soul will move from the unmanifested world through the star world, the planets, and the moon-earth sphere, constantly attracted by the force of the sun, and later, the earth. The electro-plasmic force of humanity around the earth functions as an awareness belt that connects the soul with life on earth. In the Universal Tao, the “fusion of the five elements” practice is used to balance the qualities of the five elements in the body. This practice is also called internal alchemy. (See the Universal Tao publication Fusion of the Five Elements for a detailed explanation of this ancient Taoist practice.) After strengthening and purifying the body through the basic practices and fusion practice, the energy and virtues of the five vital organs (kidney, heart, spleen, lungs, and liver) are cultivated. (See Taoist Cosmic Healing, Inner Smile Practice.) These energies are gathered in collection areas (the pa kua collection points) around the navel. From these collection points, the energy is blended, purified, and stored in the lower Tan Tien. Through these practices, the energy is condensed until it becomes a radiating pearl, located at the original meeting point where the information of the first cell and basic spark of the body is kept (in the area of the small intestine). Taoists use the metaphor of the “pearl” or “crystal” to refer to this highly concentrated, purified energy. The pearl is cultivated and slowly transformed into spiritual energy. It becomes the house of the soul and spirit body as well as one’s balance, control, and universal connection point. Once the pearl is cultivated, it can serve to open different energy channels in the body and enable one to travel, via one’s consciousness, outside the physical body into the worlds of the planets, stars, and vibrations. The pearl has the same function as the sun in our solar system: centering, collecting, controlling, and connecting to higher realms. When the center is weak (the pearl has not been cultivated), there is no central point of consciousness or control. This implies weakness and inability to decide where to go or what to do. When we use the mind to gather the energy at one point, the spark that is still glowing inside us will ignite and start to shine again--just as our sun ignited some 5 billion years ago. When the pearl is shining and stable in the lower Tan Tien, it becomes the source of energy for all the organs. In Chinese medicine this is the yang meridian of primary fire, the center of transformation. When the pearl is stronger and more refined, it can be moved upward to the heart center. While the fire of the small intestine, where the pearl is initially located, is a denser, more physical fire, the fire of the heart carries a higher vibration. This fire is related to the quality of the sun, the soul, and the state of compassion. It is the practitioner’s task to create the right internal condition for moving the pearl into the heart center by self-cultivation and good deeds for the benefit of all beings. In the advanced Kan and Li and “immortal” practices, the pearl moves up to the center of the head. It moves upward by itself as the fruit of self-transformation. At this point the pearl changes and acquires a very high frequency, related to the world of spirit. 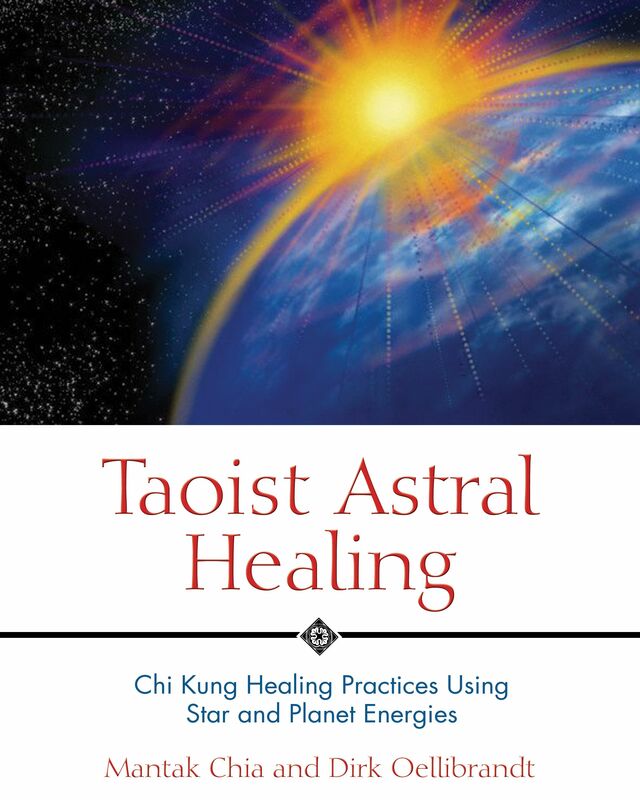 "The accessible text explains Taoist healing and spiritual practices to Western audiences and brings a uniquely modern perspective to 5,000-year-old traditions. Chinese astrology, modern astronomy, and the craniosacral system are examined logically and concisely. . ."